Famous First Appearance Month Continues Into May! 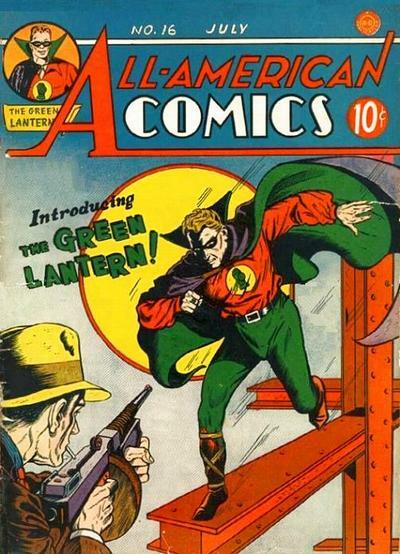 Our famous first appearance's continue this time with a golden age character by the name of Alan Scott. Scott was the original Green Lantern before the world of Oa and Hal Jordan ever existed. His origins were quite different from the more familiar Green Lantern Corps we know of today but he was a noble hero who fought crime after being gifted the green flame of life from a mysterious lantern he found and molded a ring from it. Alan Scott is rumored to be appearing in DC's Legends Of Tomorrow television series and still appears at times in the DC comics universe today.